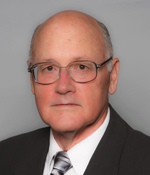 Since contributing to the first-ever standards for spirometry, biomedical engineer John L. Hankinson, PhD, has devoted nearly four decades to their refinement and implementation. He was also the senior author of the NHANES III reference values, which were published in the American Journal of Respiratory and Critical Care Medicine and have become the most commonly used values today to calculate predicted values and determine normal results. And his work, it seems, is far from over. Dr. Hankinson serves in the ATS Proficiency Standards for Pulmonary Function Laboratories Committee, a working group on Spirometry in the Occupational Setting, and the European Respiratory Society Global Lung Function Initiative working group. Through his eponymous consulting company based in Athens, Ga., he helps physicians and field investigators determine the quality of their tests and offers spirometry software, training, and other materials. He also leads a two-day, NIOSH-certified spirometry course. ATS Spirometry standards have undergone three revisions, the most recent of which was completed in 2005 by a joint taskforce between the Society and the European Respiratory Society in an effort to create global standards. Dr. Hankinson volunteered his expertise in each of the updates, serving as co-chair of the taskforce. “I focus my attention on quality control because it’s neglected,” Dr. Hankinson says. “The ATS spirometry standards have always said that the person who does the interpretation makes the judgment as to the quality, but that’s all we say. Dr. Hankinson started on the pulmonary path in the late ’60s when he transferred to the Appalachian Laboratory for Occupational Safety and Health, in Morgantown, W.Va., to investigate coal worker’s pneumoconiosis (or black lung disease). Before that, he had put his engineering degrees to work as chief of the Calibration and Standardization Unit at the Southwestern Radiological Health Laboratory in Las Vegas. Once settled in Morgantown, he began a PhD program in engineering with a specialization in respiratory diseases, as biomedical engineering was not yet a formal offering. LeRoy Lapp, MD, at the West Virginia University School of Medicine served as his mentor in pulmonary physiology. “Having an engineering background, I could pick it up pretty quick,” Dr. Hankinson says. Dr. Hankinson became chief of the Medical Instrumentation Section of the Clinical Investigations Branch, chief of the Clinical Investigations Branch, Division for Respiratory Disease Studies for NIOSH and the Centers for Disease Control and Prevention, and a physiology professor at the university until his retirement in 1997. It was during his time at the lab that they discovered the agent that causes byssinosis-a disease of the lungs brought on by breathing in cotton dust or dusts from other vegetable fibers such as flax, hemp, or sisal while at work-and began work on the OSHA cotton dust standards. Dr. Hankinson joined a group of 22 clinical and epidemiologic scientists led by ATS Medical Devices Committee Chairman Reed Gardner, PhD, and then-ATS President Dr. Hans Weill on Jan. 18, 1977, at a ski resort in Snowbird, Utah. The Snowbird Workshop set out to establish the first minimum recommendations for spirometer specifications and such tests as vital capacity, forced vital capacity, timed forced expiratory volume, mean forced expiratory flow, flow, maximal voluntary ventilation, as well as technician training. Dr. Hankinson, who also represented the American Lung Association of West Virginia at the time, shared his field research on 9,347 working coal miners, which was instrumental and cited throughout the standards. Once the group disbanded, the standards were circulated among the scientists, presented at the following ATS conference, and-after further input from manufactures and the membership at large-were published in ATS News and the American Review of Respiratory Disease in May 1979. Thanks to Dr. Hankinson’s research and input, the Society was able to reach this major milestone. For his efforts throughout the years, Dr. Hankinson received the Meritorious Service Medal from the U.S. Surgeon General in 1987, the 1993 Engineer of Year distinction from the CDC, and the 2009 Public Service Award from the Society. “John and I connected immediately at the Snowbird Workshop,” says Dr. Gardner, who co-authored 19 manuscripts with Hankinson following the workshop. “We still communicate with each other, and I ask him tough questions about the very topics that got us together those 35 years ago. We don’t always see things the same, but we can have a rigorous and challenging discussion. Read the “ATS/ERS Task Force Standardisation of Lung Function Testing: Standardisation of spirometry (2005)” at thoracic.org/statements.